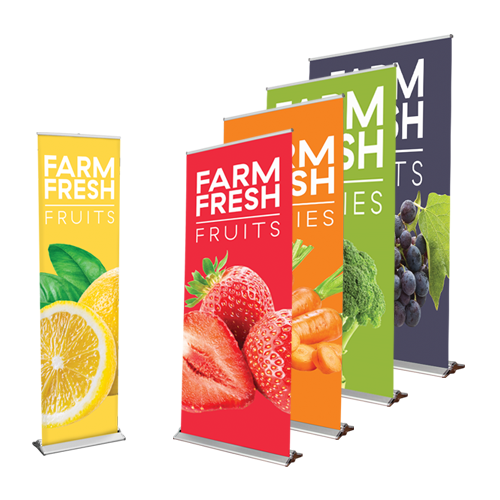 Give your business the x-factor with our X-Frame Banners! X-Framer Banners add insurmountable quality to your event and presentation. 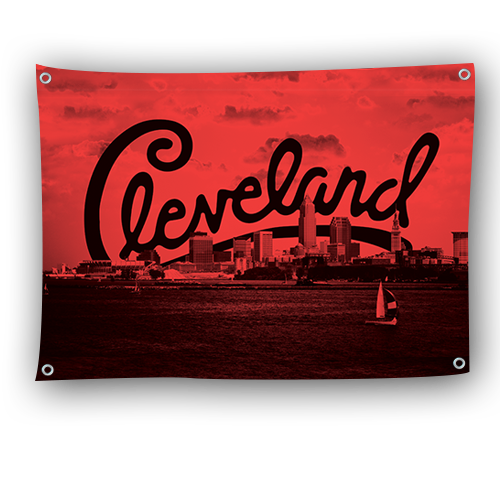 Let Hotcards do all the work -- you’ll be glad you opted for this unique alternative to hanging banners! Quality X-Frame Banners within reach! 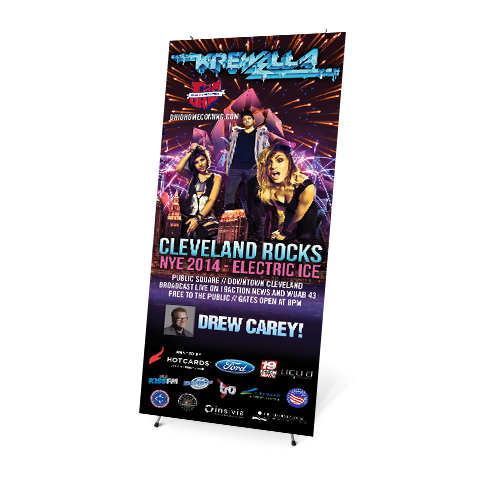 Look no further than our custom X-Frame Banners when searching for the perfect way to highlight your event.  With a variety of paper stock options and totally customizable designs, you need look no further than the Hotcards team! colors are produced using a full four color build of cyan, magenta, yellow and black. This method allows for any number of colors to be printed, ensuring stunning results! Our X-Frame Banners come with an elegant Matte finish material. They look great and you won’t have to deal with glare affecting who sees your banner! 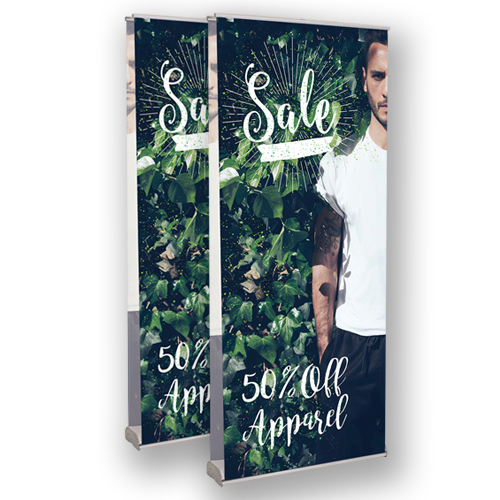 Our X-Frame banner stands are super light weight, extremely portable, and can be setup almost anywhere you want! The X-Frame banner stand comes fully installed. All you have to do is unfold the stand, and attach the banner material. It’s a 2 minute setup! Our banners are made to last! This is why we use on the most durable indoor/outdoor scrim vinyl.